• This purpose of the experiment is studying the effect that fuel price flying has on flying activity as well as understanding how fuel price factors into the complete cost picture. • The offer is open to any piston-powered GA aircraft that can fly into San Marcos Municipal Airport under its own power. Only the regular tanks in the aircraft will be filled. 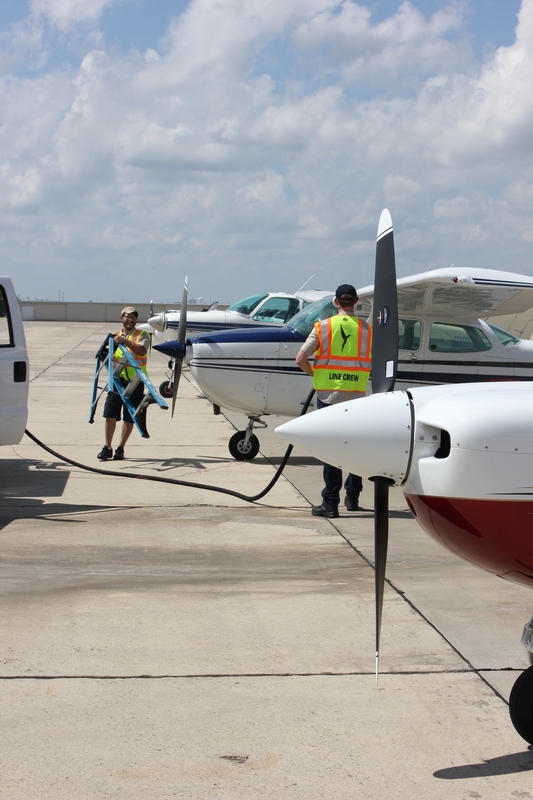 • To maintain a reliable supply for everyone and keep delays to a minimum, the fueling limit is 200 gallons per aircraft per day. Aircraft requiring more than 200 gallons may purchase that additional amount at the regular price. We won't fuel aircraft that we believe are violating the spirit of the experiment. • The $1 price is valid for the entire month of October during normal operating hours, 6am to 10pm. • There may be lines to get gas. If you expect to be in a hurry, we recommend you pre-register on the website or by calling us at (512) 878-6670. 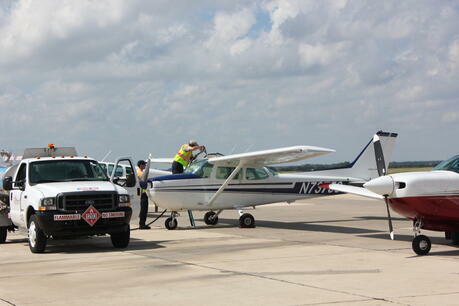 • San Marcos Airport is a former military training airport and has acres of ramp space, so space for waiting or parking overnight is not a problem. • Data collected from pilots during the month will be aggregated before publication. Absolutely no individual personal information will be shared. Several big names in aviation are behind this experiment. Garmin, Aspen Avionics, King Schools, ForeFlight, Bendix King, EAA, GAMA, AOPA, Sennheiser, Hartzell, Bad Elf, and Brown Aviation Leasing have all joined forces to make this happen. The City of San Marcos has also offered significant support, underscoring how savvy municipalities understand the economic impact of aviation. San Marcos is an alternative destination to the overloaded Austin-Bergstrom airport, especially during major events, like Formula One races. It’s also an alternative airport for traffic to San Antonio. 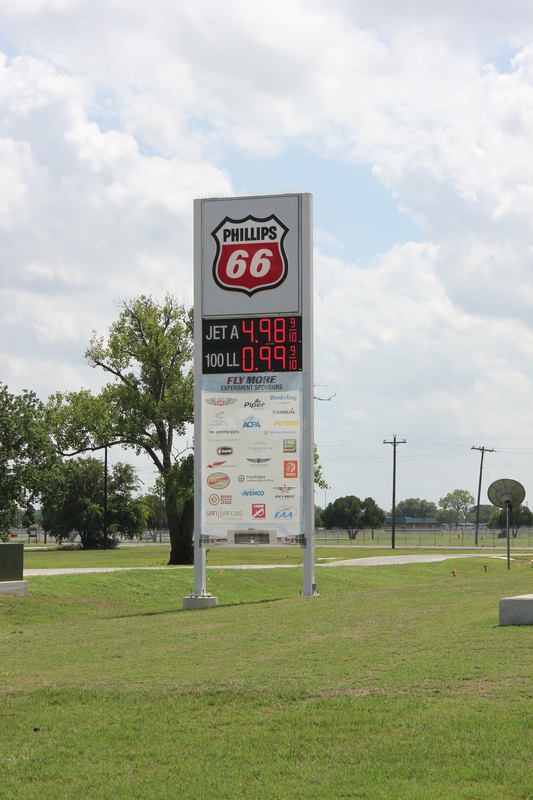 For the month while one-dollar fuel is available, CEOs and other leaders from partner companies will conduct town meetings at the Skyport to answer pilot questions and hear opinions on the direction of their products and the aviation industry. Pilot opinions on what motivates them to fly will also be part of the data published when the experiment is complete. The latest schedule is available at: www.redbirdskyport.com/flymore.